That’s it, our middle baby finally turned four, and now there’s no escaping it… she’ll soon be a schoolgirl and completely all grown up! 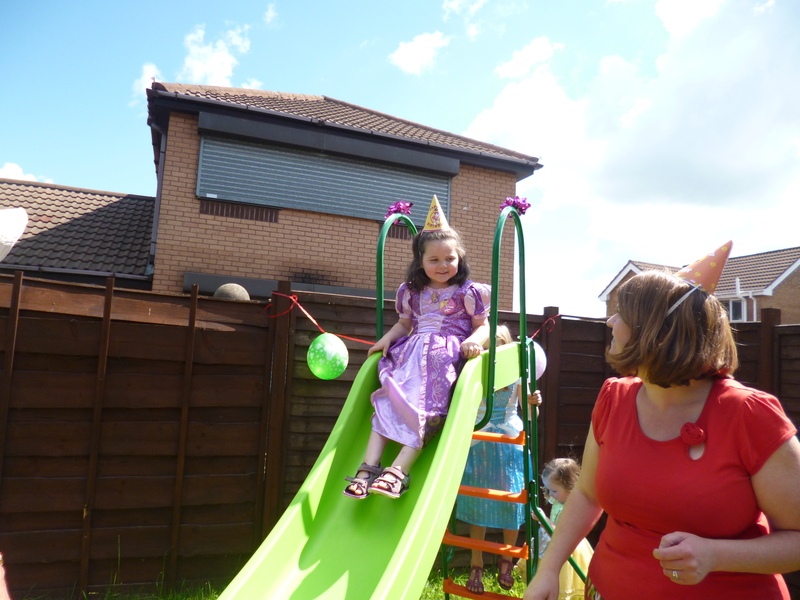 Our cheeky, mischievous, fun loving yet shy and sensitive little girl turned four last week and the sun shone while we enjoyed a family party in the garden to celebrate. On her real birthday, she woke up feeling a little bit off colour and complaining of a sore tummy. She can be a bit of a drama queen at times, and we’ve heard the sore tummy thing lots of times when we suspect it might not be 100% true, so we hoped for the best. 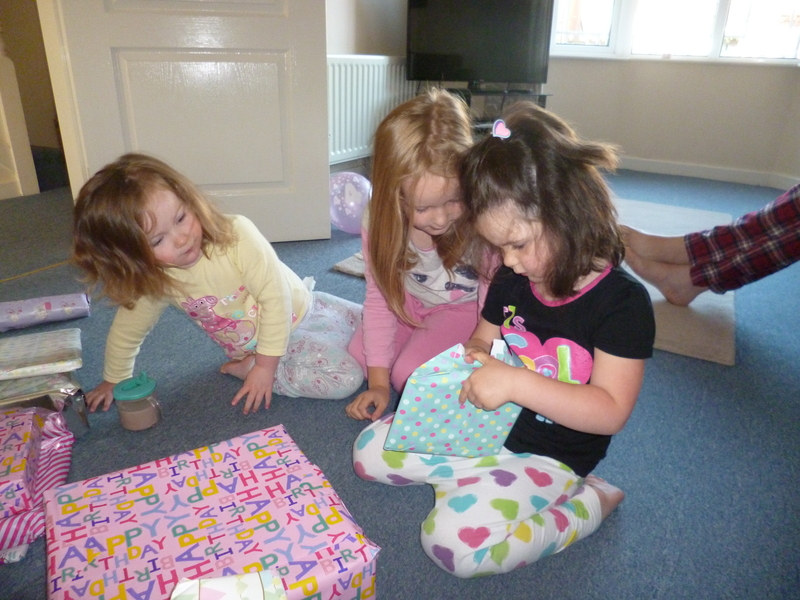 Isla enjoyed coming down and opening her presents and seeing all the birthday banners we’d put up – her main present was a Leap Pad2 after nursery tipped us off that she absolutely loves the one they have. After breakfast we went upstairs to get ready for her party and she went a bit downhill again, complaining about a sore tummy and generally wanting to lay on the bed and rest. I had downloaded some music for her birthday party – quite into her pop music is Isla – so we stuck a bit of One Direction on to coax her out of her lethargic mood… she climbed out of bed and jumped about a bit to Live While We’re Young, but then I could tell in her face that the jumping had made her tummy feel worse so she crawled back into bed again… poor thing… the sore tummy was real after all, how typical! 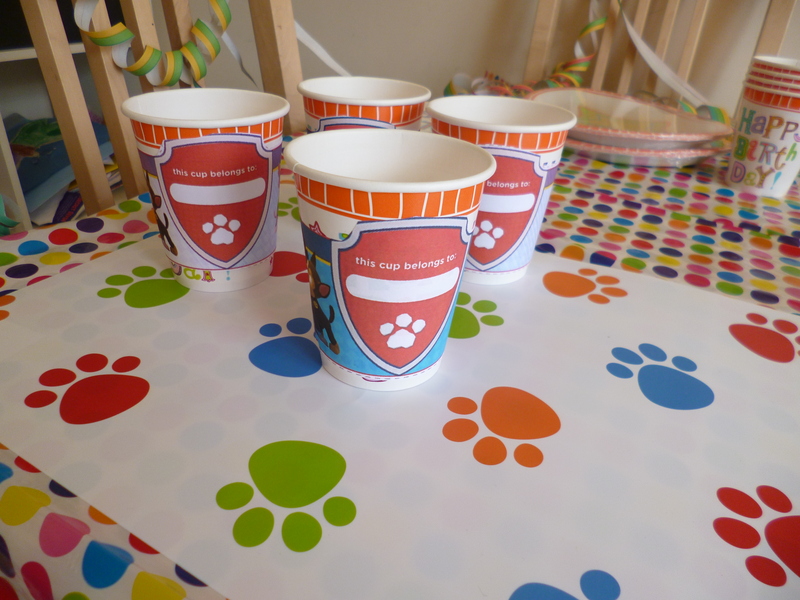 We carried on preparing for the party, which was a Paw Patrol theme (for the uninitiated, Paw Patrol is a Nick Jr tv programme about superhero puppies!). 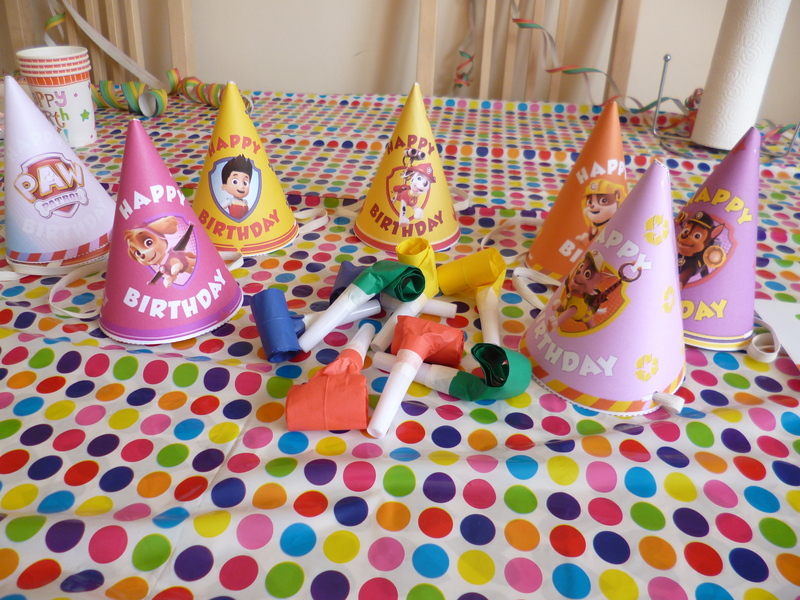 You can’t seem to buy much Paw Patrol stuff in this country, although I think you can in America, BUT the nick Jr website had loads of brilliant printable Paw Patrol party stuff, so I’d printed and made Paw Patrol hats, banners, party bag labels (doggy bags! ), a Pin the Badge on Marshall game and various other bits… so I was quite chuffed really, it looked great! Family came over about 11am and Isla had perked up quite a bit so we tried not to worry. 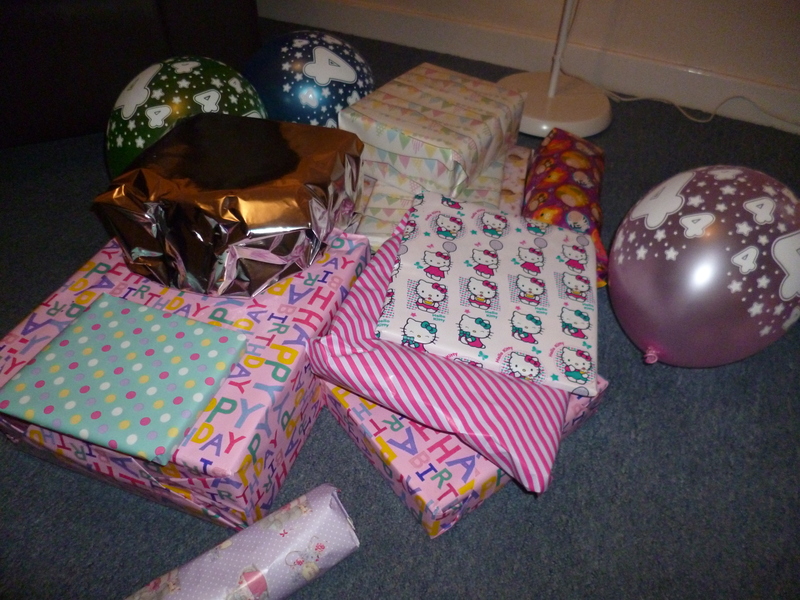 Isla opened lots of lovely presents from everyone – mainly lots of garden toys (the bonus of summer birthdays! ), and the main showstopper being an enormous new slide, which had been hiding in the garage since daddy / granddad spent hours assembling it a few days before, and which was too big to come down the side of the house. So, it had to take a detour, down the street, round the end of the estate, and into the doctor’s surgery car park (luckily closed on that day) which backs onto our garden, so that it arrived, rather dramatically, over the fence! Well it went down very well with all the girls the second it hit the ground! 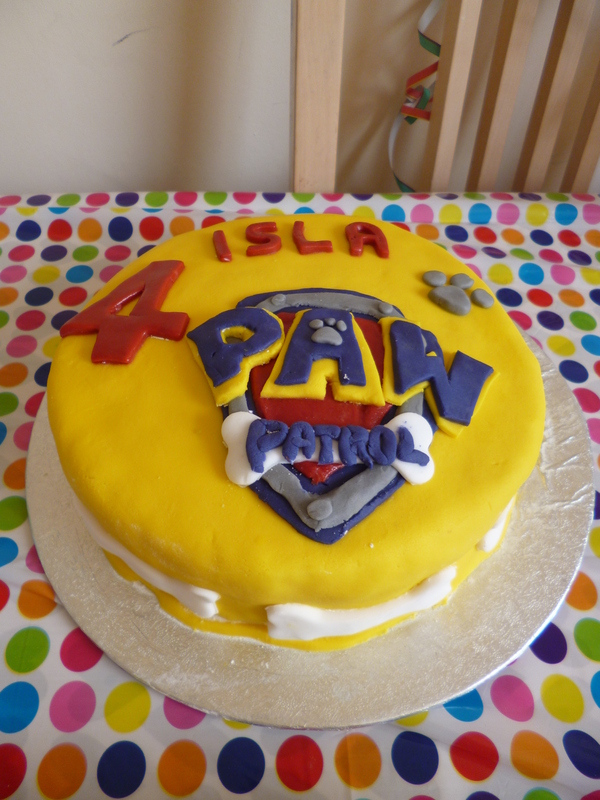 After that we had our party food, played party games and brought out the Paw Patrol cake i’d made for Isla. 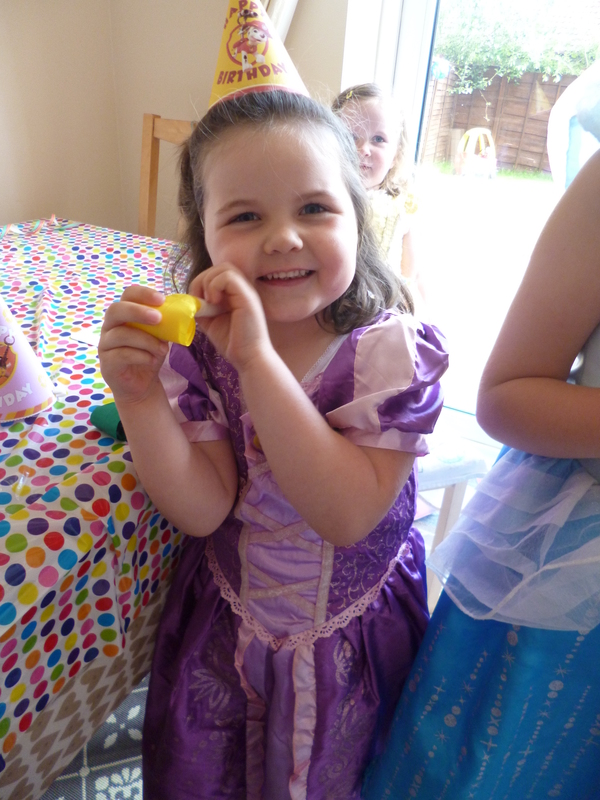 On the bright side, she bounced back very quickly and was soon feeling much better… so much so that she later scoffed a Curly Wurly with no ill effects! 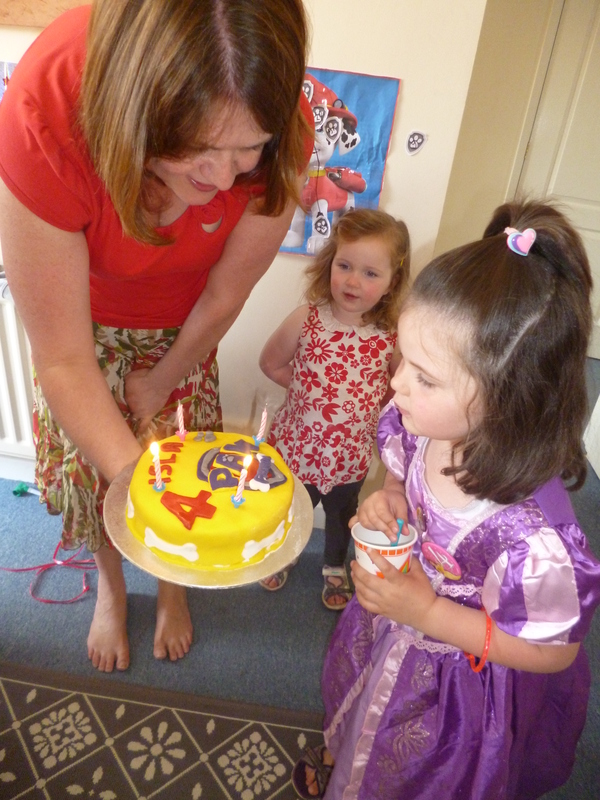 So, despite unfortunately being a bit poorly on her big day, I think all in all she had a lovely birthday. And now she’s a Big Girl 4 Year Old. And what an exciting 12 months are in store for our second little angel. I don’t really know what I think about Halloween. We never celebrated it as children, and the only time I ever went trick or treating I was about five and somebody poured a bag of flour of my head – traumatised me for life! 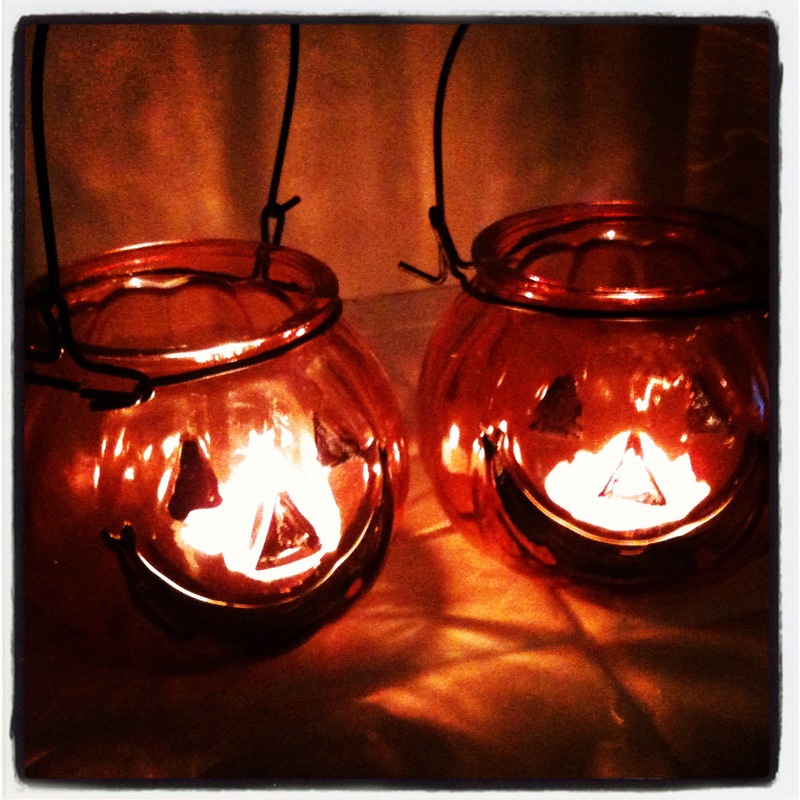 Nowadays we get a few trick or treaters to our house each year – usually all pretty young children supervised by mums and dads, and never really past about 9pm at night. We always have plenty of Haribo ready to give out – and usually a few left over for us, yum! It’s funny though how Halloween has taken off so much in the last few years. 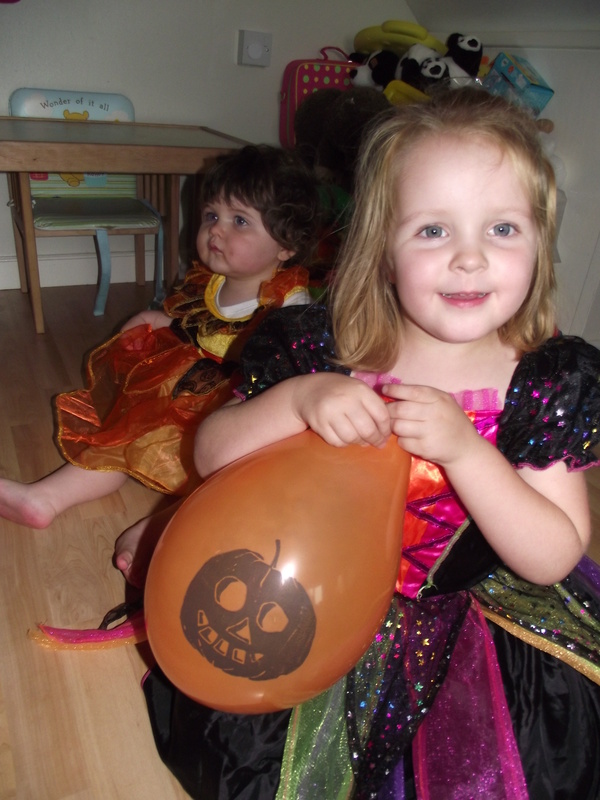 In the run up to this year we have noticed that almost everywhere we might normally take the girls has some kind of Halloween spin off – whether it be a soft play place, garden centre, aquarium, zoo or local stately home and gardens. 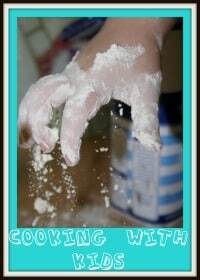 With a three year old who is very easily scared of things this isn’t too great. It doesn’t take much to give her bad dreams, which obviously mean a bad nights sleep for everyone… as any parent would agree, not funny! So, in the spirit of “If we can’t beat em, join em” we decided to have a mini (non-scary) Halloween party in the house, just us four! I traipsed round all the cheapo shops near work on Friday lunchtime, got costumes for us all, some decorations and some Halloween chocolates and yesterday we had our party. 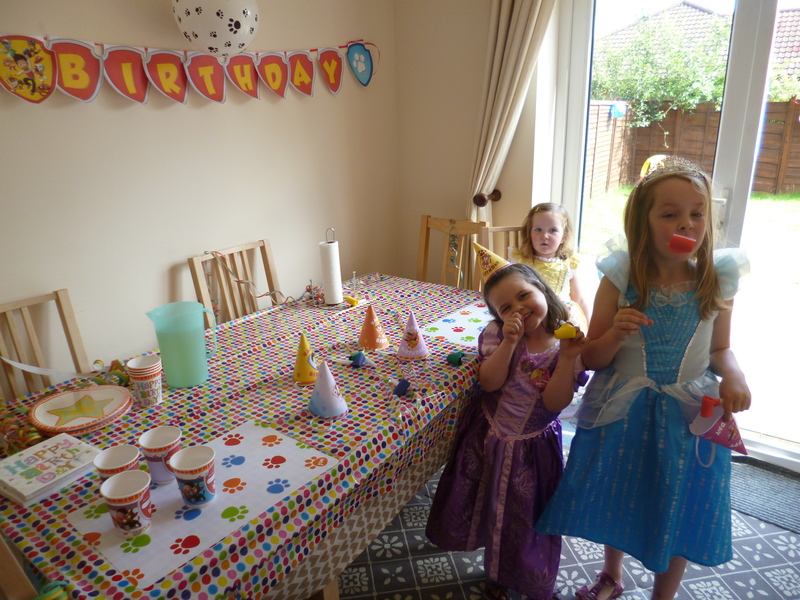 Lilly woke up saying “I’m excited for our party! 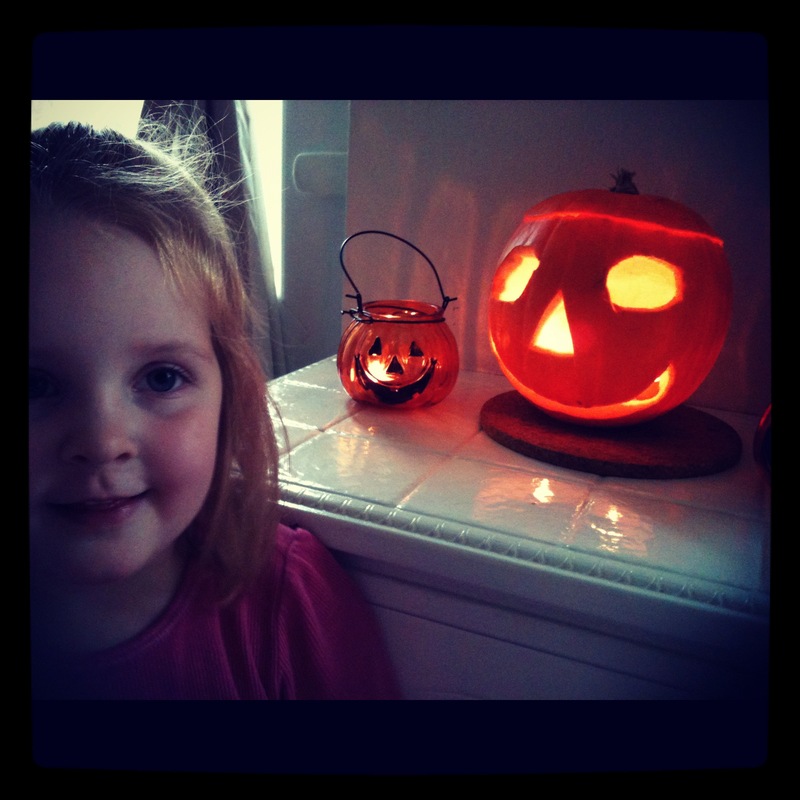 !” In the morning, Lilly helped me carve a pumpkin… she hated the smell and kept running away until it got to the exciting part, when I let her draw on a face for me to carve out! And we had pumpkin soup for lunch (well, Tony and I did, Lilly wouldn’t entertain that idea after smelling the pumpkin earlier). After Isla had had her nap we got into costumes (Lilly wanted to be a ballerina originally… luckily after re-branding her witches outfit as a Princess costume we got away with it), Isla was in an orange pumpkin / witch dress, I was a witch, complete with green hair, and Daddy had a vampire cape (but no scary teeth or other accessories – actually he just looked quite smart!) Just like her big sister the first time we tried to put her in fancy dress (a red riding hood outfit for a nursery party), Isla wasn’t very happy aboout her costume at first and there were lots of tears… she got over her strop eventually, and with the aid of some bat biscuits! We played musical statues and musical bumps and then had an easter egg style hunt for chocolate eyeballs. Lilly was very good and happily shared some of the bounty with Isla… who loved it and kept opening her mouth like a little baby bird for more. 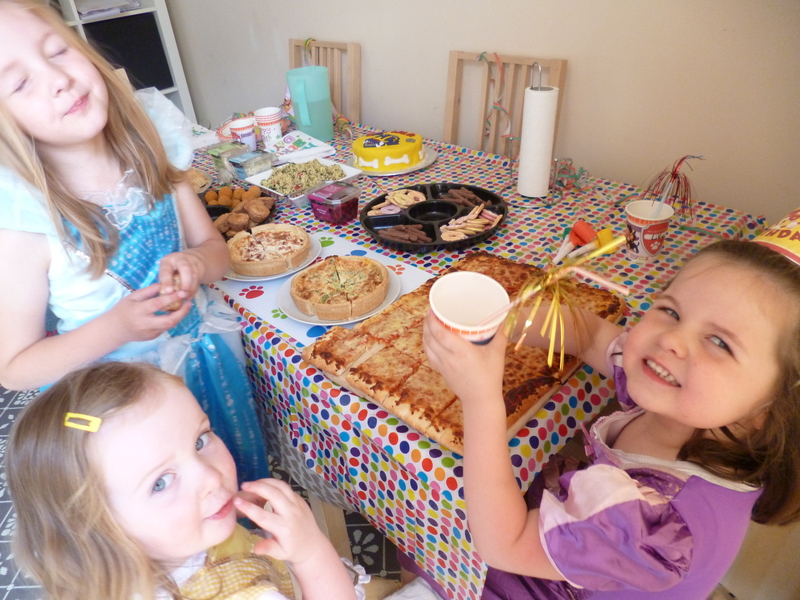 Our party food was followed with some funny coloured Halloween cupcakes (shop bought as everything was decided a bit last minute) and we wrapped up the day’s events by snuggling up on the sofa to watch The Snowman and Father Christmas. All in all we had a great afternoon, lots of laughs and most importantly, a non-scary Halloween party guaranteed to tire out the girls and give us all a good nights sleep. Pitter patter of feet towards our bedroom.